Steve Olson Printing & Design has a proud team of professionals who know that printing isn't simply the reproduction of documents... it is the effective management. Our clients are paramount and from small orders to large commercial runs, each is treated with the same attention to detail. We offer industry wide standardized printing in Letterpress, Offset and Digital processes. Technology has brought great advancements to the art of printing. 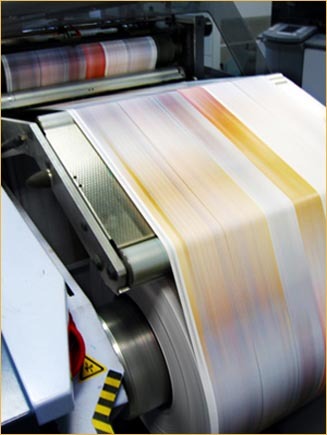 We keep abreast of the latest printing technology which enables us to consistently deliver high quality, in less time and at a lower cost. Our use of technology also enables us to work with both digital and standard formats. Since 1946, we have been meeting the needs of customers throughout Lake County, Chicago, northern Illinois and Southern Wisconsin. Our team stands ready to work for you.